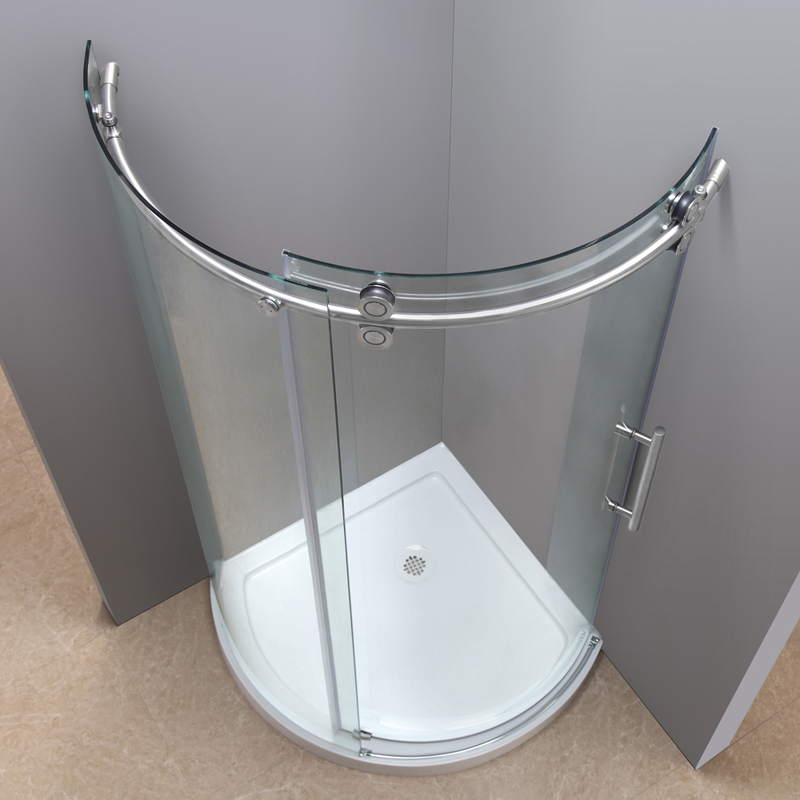 Size: 36" x 36" x 75"40" x 40" x 75"
The Orbitus Completely Frameless Round Shower Door Enclosure is a engineering masterpiece that will instantly upgrade the style and feel of your bath. 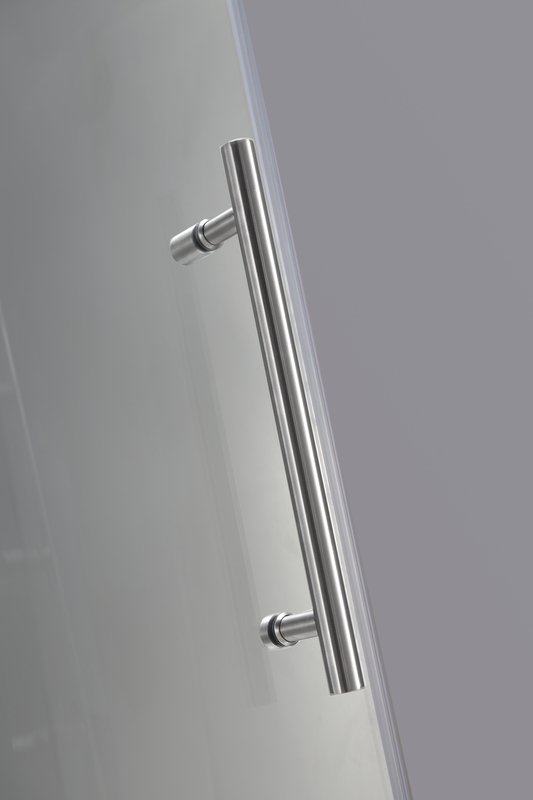 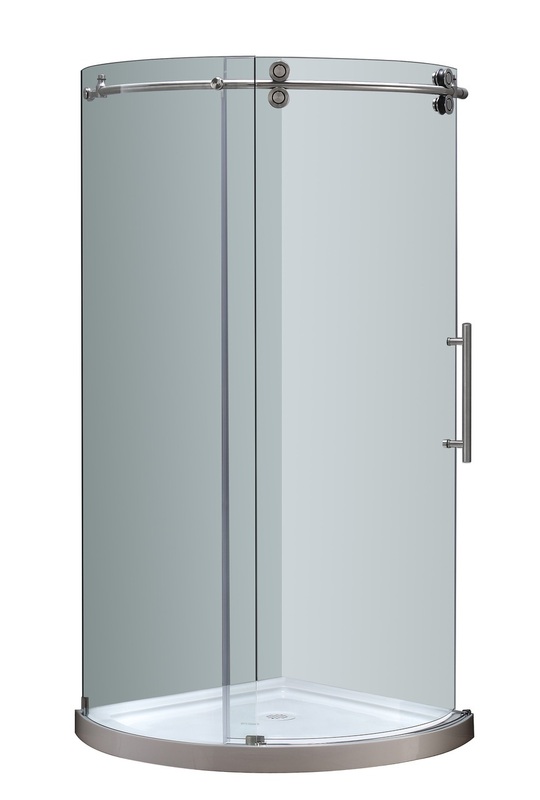 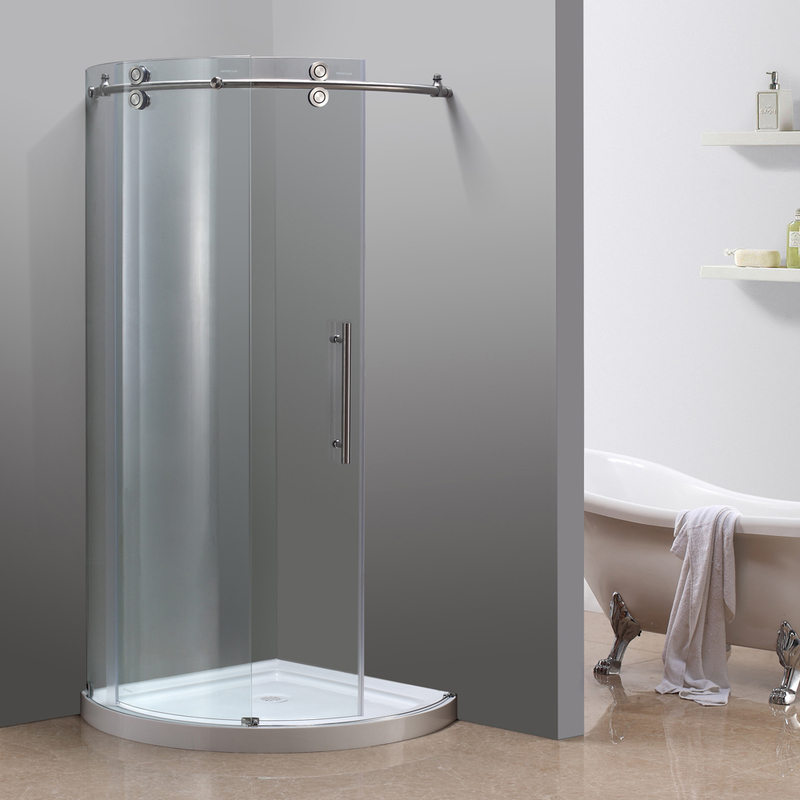 Constructed of durable 8mm ANSI-certified tempered clear glass, 4-wheel industrial chic smooth sliding mechanism, stainless steel or chrome finish hardware, and premium clear leak-seal edge strips, the Orbitus is the optimal, beautiful choice for a corner shower renovation. 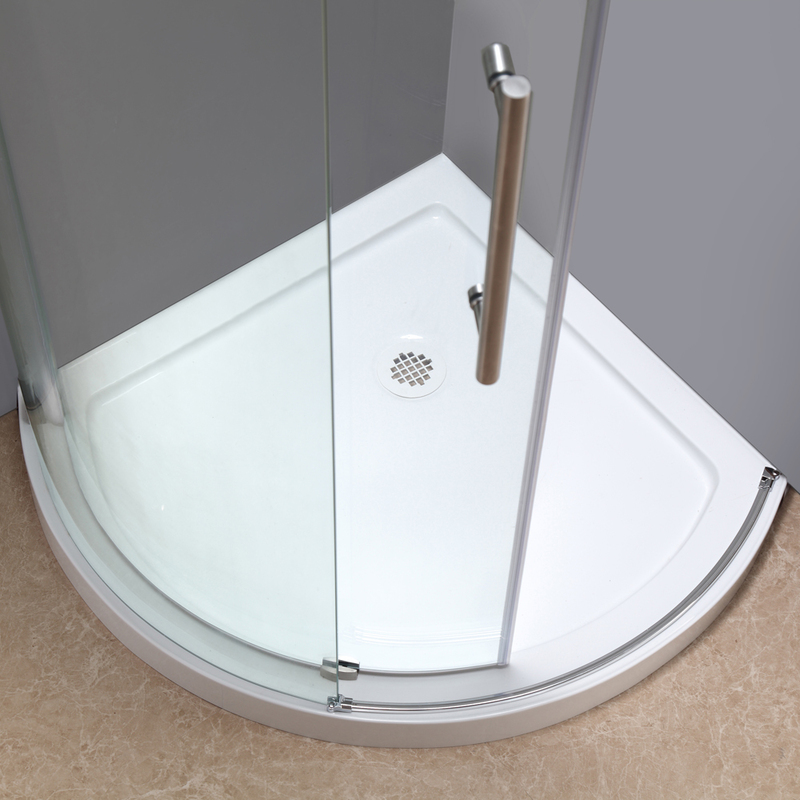 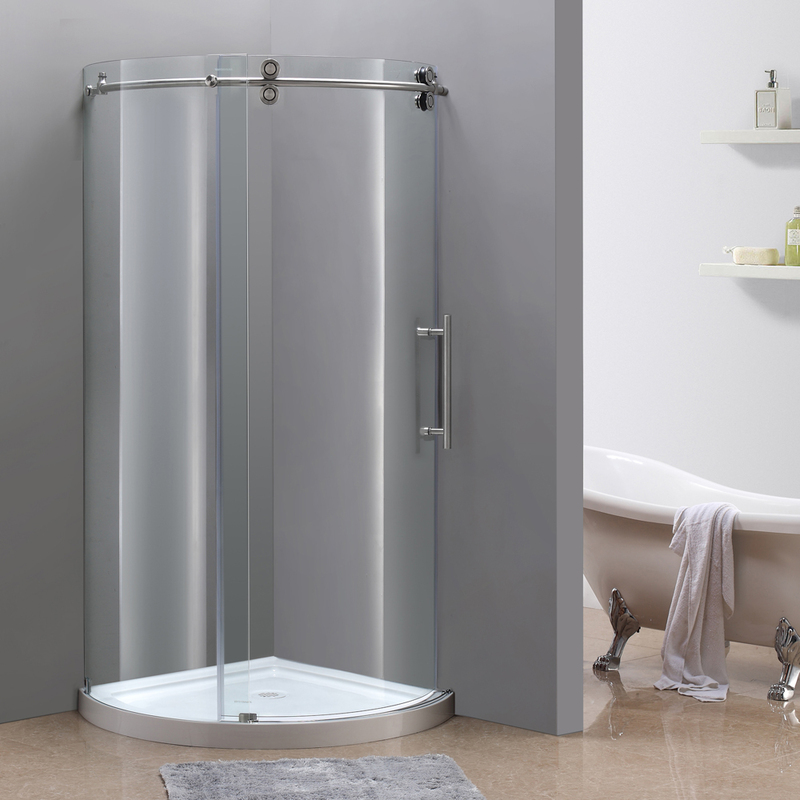 This model does not include the optional 2.5" low-profile structurally reinforced acrylic shower base.